Speed up your slimming performance with an innovative body treatment powered by Quince Leaf extract. Discovered by Clarins Research, organic Quince Leaf extract targets the 3 main functions that are responsible for the appearance of cellulite, promoting a visibly smoother, firmer, shapelier silhouette and unprecedented body-contouring results.See your most beautiful body take shape with a healthy lifestyle, balanced diet and daily exercise. 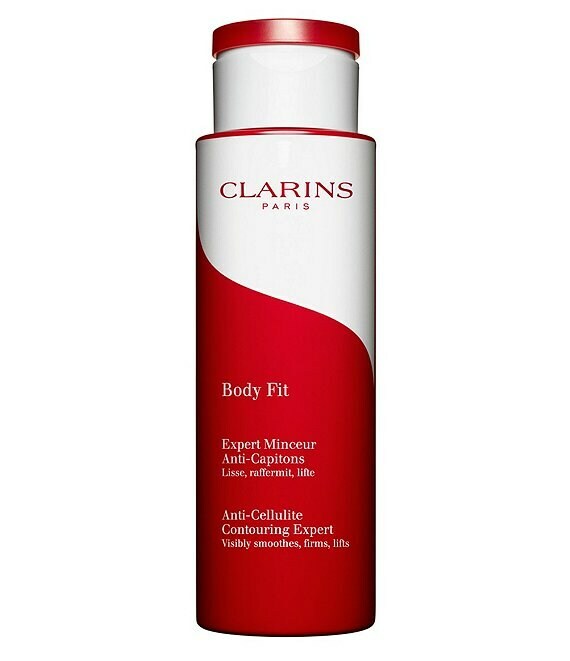 How to Apply: Apply Body Fit using Clarins' exclusive Self-Massage Body Contouring Method. See product insert. Quince Leaf extract promotes a visibly smoother, streamlined silhouette. Escin extract from Horse Chestnut helps fight water retention. Water Mint and Bachharis extracts help to visibly firm skin. Sunflower and Hazelnut extracts hydrate, comfort and smooth.